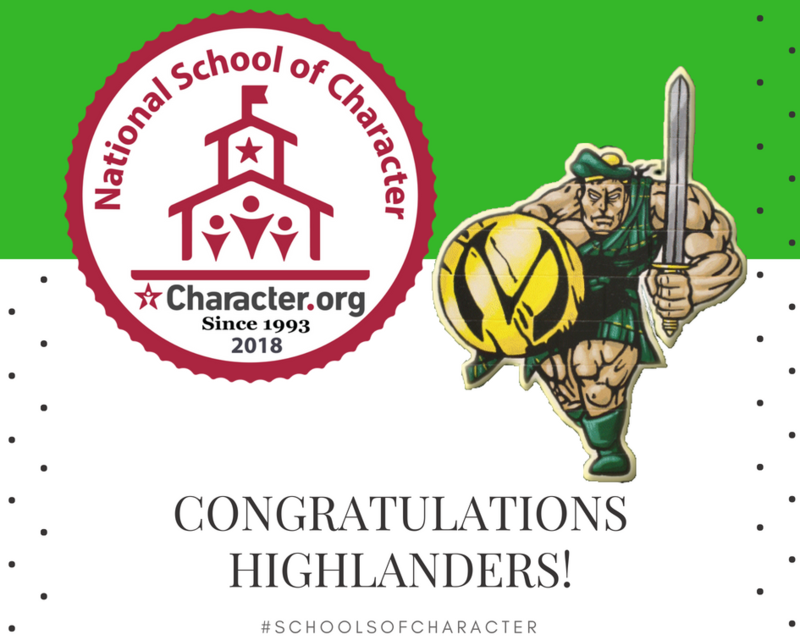 Lawton, OK – MacArthur High School (MHS) Highlanders ended the 2017-2018 school year on a high note with national recognition by Character.org – the nonprofit organization that validates character initiatives in schools and communities around the world. MHS received the official designation as a 2018 National School of Character on May 18, 2018. The Highlanders focused on producing a more positive school climate and building on the school’s touchstone – On Me, Myself. Everything I Do – and core values - Motivation, Attitude, and Character (MAC). Character education is an approach to school culture and climate improvement that supports the social, emotional and ethical development of students. It is the proactive and intentional effort by schools, districts, communities and states to help students develop important core ethical (recognizing what’s right) and performance (doing what’s right) values such as caring, honesty, diligence, fairness, fortitude, responsibility, grit, creativity, critical thinking and respect for self and others. Since the inception of Character.org’s Schools of Character program in 1998, 547 schools and 35 districts have been designated as National Schools or Districts of Character, impacting more than 3 million people’s lives.